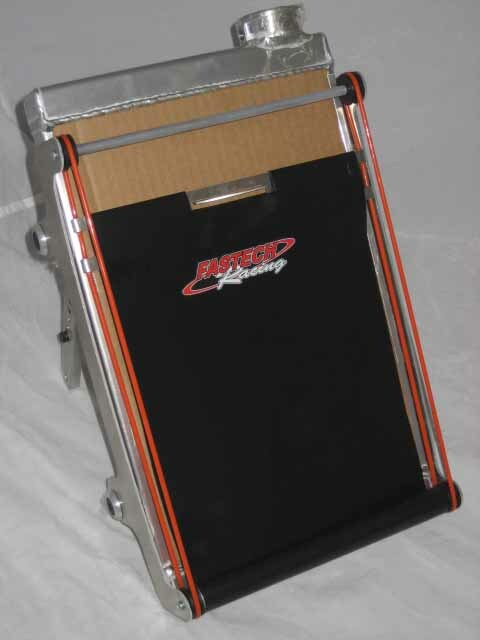 FTP Aluminum Radiator w/ Adjustable Mount & Curtain - 16x10"
Only one at this price, complete radiator w/ mount & curtain. Includes fittings for front or rear outlet. 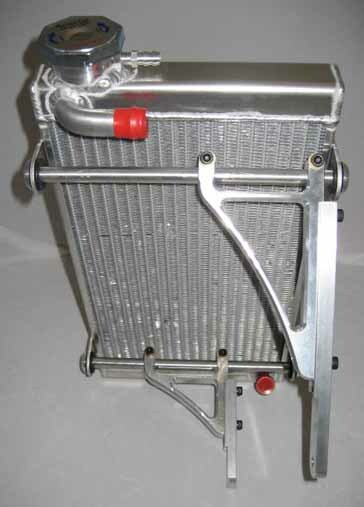 High Quality, American made, TIG welded aluminum radiator with FULLY adjustable CNC aluminum, rubber isolated mount. Select from 18x10", 16x10", 16x10.5" or 16x11". NO DIFFERENCE in price! Now available with a "front" outlet (on all sizes except the 16x10) for better hose routing on "moto" engines, i.e. CR80 & CR125's. Easily adjust the cooling capacity. No more taping the radiator with this. Only fits the 16x10" FTP Radiator. NOTE: Only fits the 16x10" & 18x10" radiators. Radiator not included. 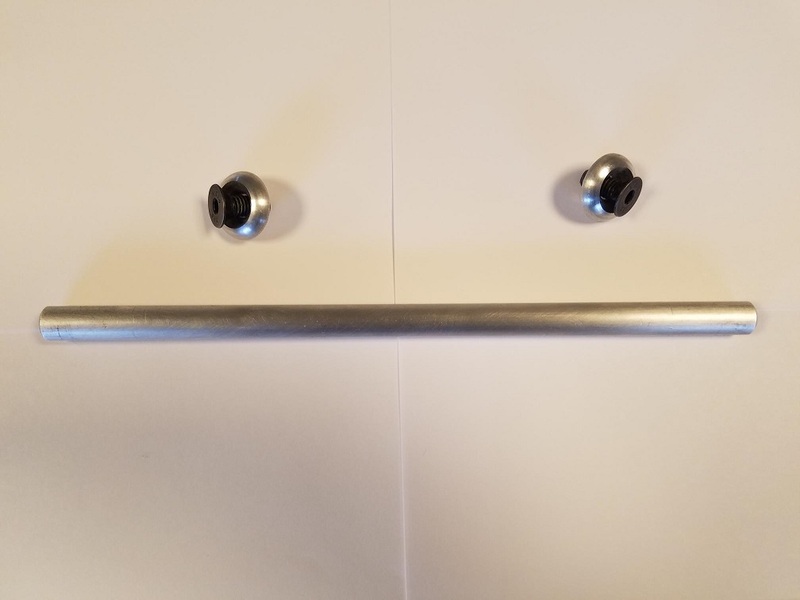 Fits upper/lower FTP mounts, 1/2' diameter crossbar includes 2 8x30mm flat head screws and 2 finish washers. Radiator not included. Select Rod Length 9.5" 10" 10.5" 11"
Upper/lower mounts and crossbars included. Radiator not included.